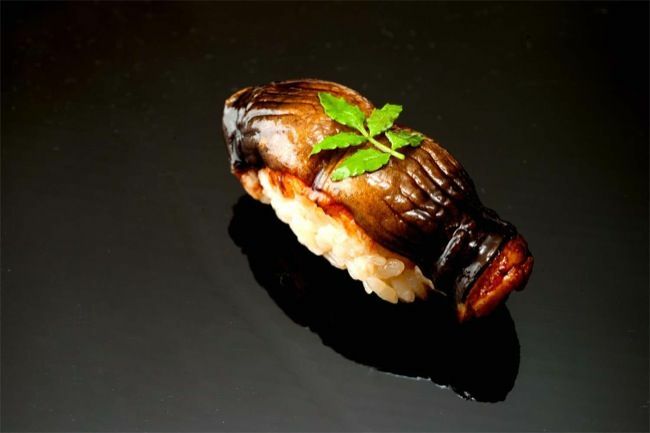 Sushi Yoshitake, the acclaimed Tokyo restaurant by the eponymous chef Masahiro Yoshitake, is opening in Sheung Wan’s Mercer Hotel this autumn. It is a bold move for the chef, who will not simply be appointing someone to head this branch, the first outside of Tokyo and only his second restaurant in the world. Chef Yoshitake himself will be Hong Kong-based (although he will still have commitments in Tokyo) to concentrate on his new venture. Yoshitake brings with him more than 30 years of experience, as well as a dedicated team from Tokyo handpicked by the chef himself. Known for his flair for inspiring flavour combinations as well as dedication to traditional nigiri craftsmanship, the exclusive eight-seater sushi bar will allow diners to immerse themselves in the ultimate experience of fine sushi artistry. The kitchen has been fitted with bespoke equipment designed and manufactured in Japan. In the restaurant itself, the centerpiece will be the sushi counter, fashioned from a grand 500kg slab of Hinoki wood, taken from a cypress tree native to Japan. Sushi Yoshitake will be opening later this September, but we’ll be giving you the first look at the restaurant next week with an exclusive video interview with chef Yoshitake himself.